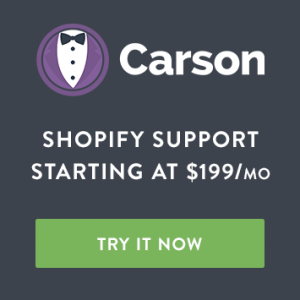 Learn how to improve your online business using (step-by-step) eCommerce training courses. 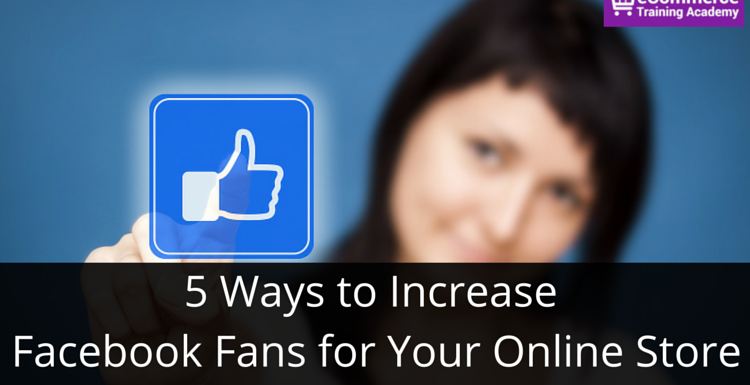 Facebook likes seem to work on momentum, the more fans you have, the more likely you are to get new ones. But how do you get to the point where people recognize that your page is “the place to be” ad sign up in droves? It is most difficult to get the ball rolling with your page’s first Facebook likes. Naturally, people are skeptical of a page that only has likes in the single or double digits. So, the quality of people you get in those early days may not be as good as the likes you’ll get later on. That’s okay. Just don’t do anything shady to boost your numbers unnaturally and you’ll be fine. 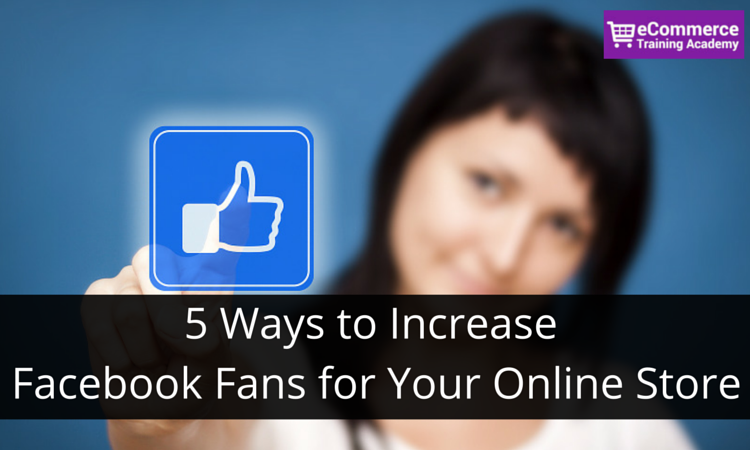 Here are five of my favorite methods for increasing Facebook fans. Hint: None of them include buying likes or tricking people into liking your page. We’re looking for real people who may eventually become customers. Having a million bots like your page can hurt more than it would help. People like free stuff. It’s that simple. And people also like the recognition they get when they share a cool opportunity with their friends. So, it’s a win-win. Offer something amazing (and brand relevant), and your audience will not only be likely to enter, but they will probably also share your contest with their friends. Some third-party apps, such as ShortStack can make it easy to run contests and even give entrants extra entries for sharing. Avoid choosing a prize that virtually everyone wants because the likes you’ll get will also be too general. 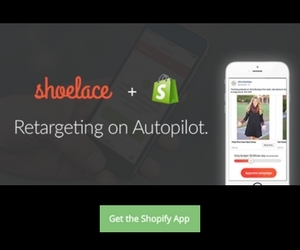 If you’re not already taking advantage of Facebook ads, you’re missing the boat. 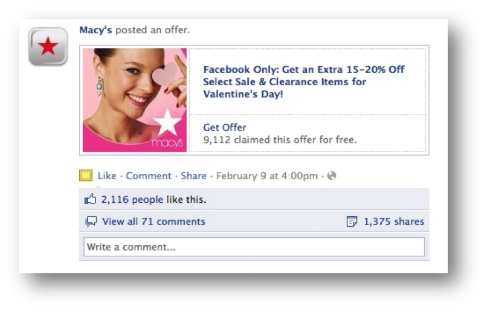 Facebook ads allow for hyper-targeting, so you can really narrow the range of people who see your ads. 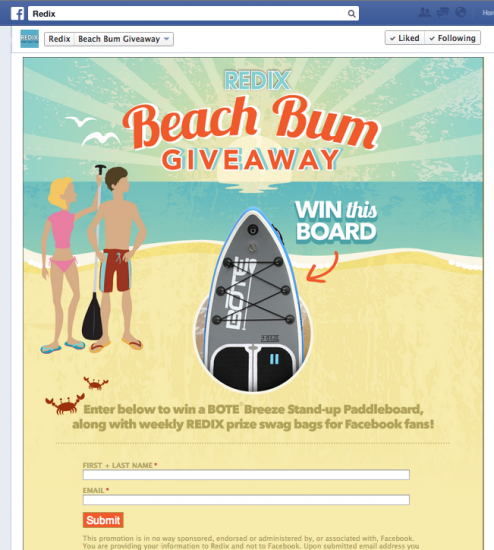 Create ads solely to increase page likes or create an ad to promote a contest or giveaway. Either way, you can increase your overall fan count for a small investment. These days, some people prefer to be notified about sales and specials via Facebook – a network they are already checking daily. This way, they can view your offer and ignore or take advantage. 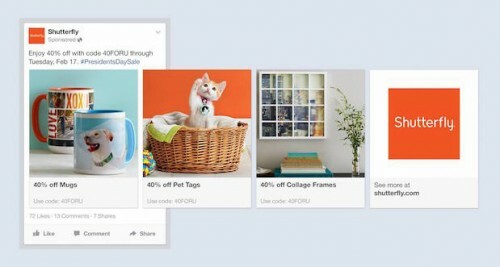 Unlike email where they have to read and delete, if they aren’t interested in your Facebook offer, they simply have to keep scrolling. This is actually an incentive for many because it keeps them in the know without a major time commitment on their part. 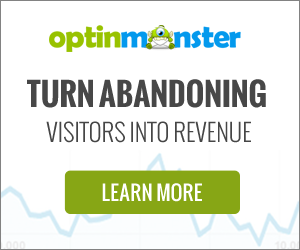 Let’s just assume for a moment that your website visitors like your content. It’s a safe assumption, especially if they are repeat visitors. So, why not make it easy for them to read more of your content? Include a like button on your website, so visitors can become fans with the click of a button. If you want something in this life, you have to ask for it. Facebook likes are no different. Don’t be ashamed to mention your Facebook page in an email or blog post to invite people who are already interacting with you to like your page. Just don’t bother hitting up family and friends for a like unless they also happen to be your target customer. Most people find these requests irritating, and the inactive likes on your page will do nothing to help your business. A passionate eCommerce advisor & speaker with over 15+ years of online experience. 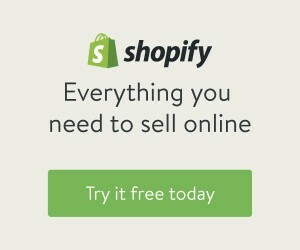 Director of Digital Marketing at LinenChest.com & Founder of the eCommerce Training Academy. Click here to get in touch with me. Thanks for sharing this useful content. To increase your fan base means to work hard. Sometimes it is a slow process, sometimes it goes faster, but be sure that any hard work will be sooner or later appreciated. You are welcome! Glad you liked them. 2018 © eCommerce Training Academy. All Rights Reserved. 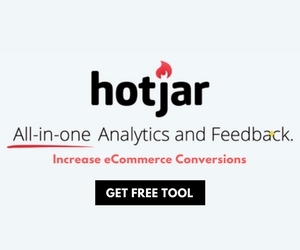 Founded by eCommerce Expert Digtial Marketer Alaa Hassan.